Thank you for your gift and for believing in the ministry of Youth for Christ. Together we are making a difference! *Youth for Christ is a registered 501(c)3 non-profit organization and your gifts are tax-deductible. To give an online gift, click the button above. You will be directed to the RRYFC page where you can make your gift. Avoid the the hassle of writing checks, paying for postage, or remembering to donate monthly with pre-authorized debits. Pre-authorized debits are safe, convenient, and easy. Download and complete the form to take advantage of this service. Our YFC Foundation makes it easy for you to support RRYFC in so many creative ways including: vehicles, stock, real estate, personal property, and more. Please click the button below to visti our non-cash giving website. *Please Note: You will have to choose ND - Red River under the Choose Your Designation dropdown. **Your account should show that you are supporting YOUTH FOR CHRIST USA INC.
Each Thrivent policyholder may qualify to apply for one or more $250 Action Team projects a year. If you would like to know how these can help YFC, contact our office. As an eligible Thrivent member, you have the opportunity to recommend where Thrivent distributes some of its charitable grant funds. For more information about Choice Dollars, your elligibility, or how to direct, click on the banner below or contact our office. Click the link above for a more complete list of companies that offer matching donations. 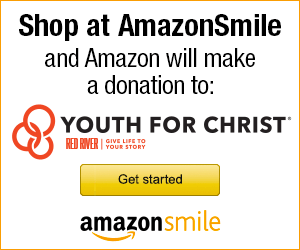 1) Give a gift by writing out a check payable to Red River Youth for Christ. RRYFC handles all donations with the utmost of integrity. Our C.P.A reviewed financials are available for viewing upon request.